For the past month, we’ve been hearing the rumor mill blabber on about Samsung’s plans to launch its next flagship device, the Galaxy S9 earlier than its usual MWC schedule. Well, the Korean giant has today cleared all our doubts by lifting the veil from the official launch window. The official launch for the Galaxy S9 has been scheduled around the Mobile World Congress 2018 in Barcelona, towards the end of next month. Samsung’s mobile business chief DJ Koh is the one who confirmed the launch schedule to ZDNet, while adding a cherry on top by saying that the availability details for S9 will be announced at the upcoming launch event itself. As for how the Galaxy S9 is shaping up based on the insistent flow of leaks, it is expected to be more of an iterative yet feature-heavy update over the Galaxy S8. Launching in two variants, as usual, the Korean giant is trying to break its comfort zone and differentiate in features, especially the camera, between the Galaxy S9 and S9 Plus. The Galaxy S9 will only feature a single rear camera, whereas the Galaxy S9 Plus will bring along a vertical dual-rear camera setup. The fingerprint sensor’s position has been tweaked on this flagship lineup, now under the camera lenses, after immense backlash from the community for the previous one. Samsung is expected to use the Snapdragon 845, as well as its in-house Exynos 9810 chipsets. It will bring along a facial recognition mechanism, quite similar to iPhone X, but the design aesthetics will be almost the same as its predecessor. 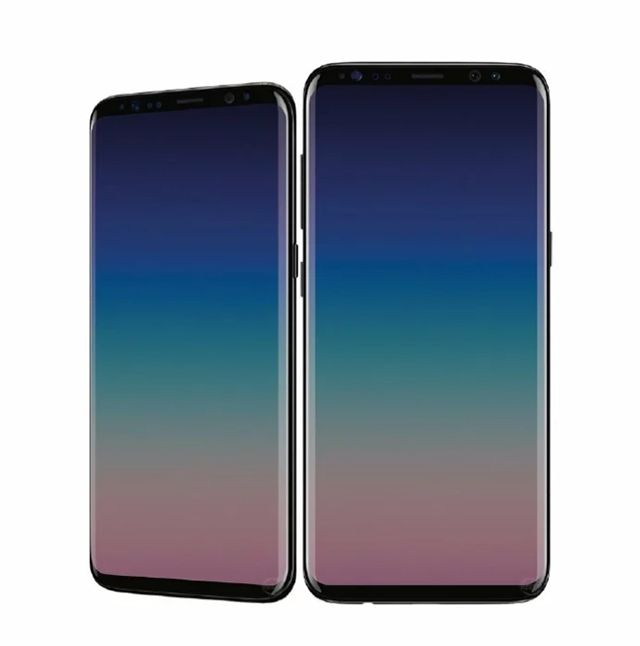 It is being rumored that Samsung will cut down on the bezels to make the Galaxy S9 devices look even like a single chunk of screen. In addition to the deets of the Galaxy S9/ S9 Plus, DJ Koh has confirmed that the Korean giant won’t be unveiling its much-awaited foldable phone at the MWC event. This is quite an unfortunate development as we were really looking forward to Galaxy X launch, which was slated for this year itself. Samsung is now targeting 2019 as its tentative launch year for the foldable phone. Samsung’s 2017 launch pace was disrupted by the Galaxy Note 7 explosion fiasco, the Korean giant is now planning to get back to the launch schedule it has been thoroughly following for the past few year. The Galaxy S8, for those who don’t remember, was introduced at an exclusive Unpacked event in New York in March 2017. This was because Samsung needed a timeout to be completely sure of the battery tech they were installing in their next flagship. It was a significant launch for the company as it had to regain the lost consumer trust and it was necessary to make sure that their next devices didn’t explode. Now, if Samsung is releasing the Galaxy S9 and S9 Plus earlier than its last flagship, then the devices could start shipping in March itself. All that’s left to see is that whether Galaxy S9 would see as many takers as the Galaxy S8, which was a gorgeous and sleek piece of hardware technology. We really loved the design aesthetics, and still do until today, and are now looking forward to what Samsung has in store for us. What new features do you expect to see in the Galaxy S9 lineup? Tell us down below in the comments section.